Pivotal figures Joey Holden and Michael Fennelly, and in-form forwards TJ Reid and Eoin Cody are the other Ballyhale representatives on the team announced today, a selection which celebrates outstanding performers in the Provincial and All-Ireland stage of the AIB GAA senior club championship. "This is a great honour for the clubs, schools and families who have players represented on this prestigious selection - players who have given so much of their time to the perfection of their skills in the service of their clubs," said Uachtarán Cumann Lúthchleas Gael John Horan. 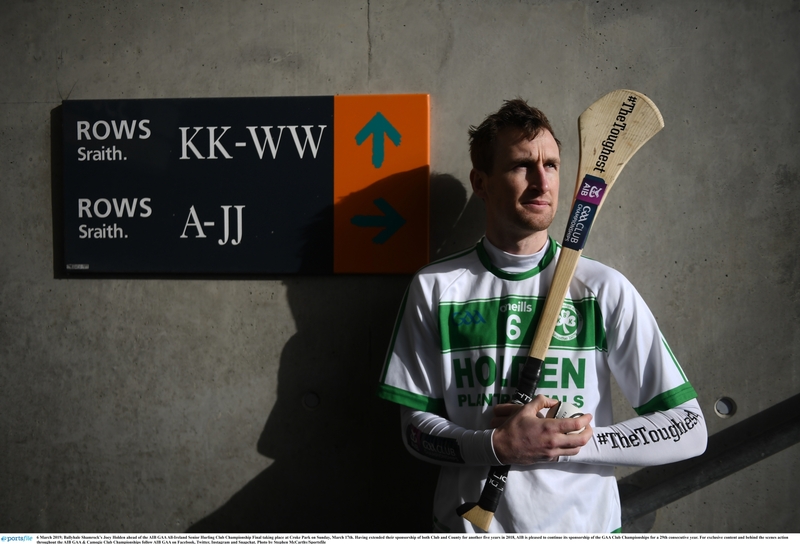 "Every year the hurling club championship can be relied upon to bring us so much about what makes the club campaign so enthralling - legends are born and history is made –and all for the glory of clubs and communities. "These awards look to pay tribute to the stand out performers and our thanks to AIB for enabling us to make this scheme possible." "The awards honour some of the greatest club players across Ireland, who have shown immense passion and commitment to their club throughout #TheToughest competition," said Denis O’Callaghan, Head of Retail Banking, AIB. "To be named on the Club Hurling and Football Teams of the Year is a real honour for these players, their families, communities, and clubs."